This series has been all about doubling your conversion rates. It’s the simplest, but most important part of your whole website. To make them click, you need a powerful, irresistible call-to-action button. It’s the end of your sales funnel. It’s the ultimate goal. It’s getting your customers to buy something. Your call-to-action (CTA) is the small button that asks tells your customers to do something. You see these buttons online all the time. They’re straight to the point. But, sometimes they’re a bit boring, aren’t they? Your CTA needs to be short, sharp, and creative. It’s got be magnetic. And yes, I’m about to spend 1000 words telling you how to write just three or four! But they’re three or four VERY IMPORTANT words. Here’s how you make them click. The biggest mistake made online is assuming that your users know what to do. And worse, assuming they’ll just buy your products, or sign up, without any prompting. Now is not the time to be polite! Now’s the time to be straightforward, and tell customers what to do. The best call-to-action buttons use strong, powerful verbs. You’ve probably noticed Apple’s call-to-action button on the App Store. Rather than the predictable ‘download’ button, the button says ‘Get’. It’s almost arrogant in its language. But it provokes a response. It works. A call-to-action should never be vague. In fact, nothing on your website should be vague. But especially the CTA. They tell their users exactly what they’re getting exchange for their email address. They’re also using a whole host of other clever tricks here. Including my next point. Let’s face it. We all know that websites want us to sign up to their mailing lists. Or buy their products. Or download their software. But the best websites make you want to do it. This is marketing 101. Use your call-to-action to explain all the benefits they’ll get from clicking it. Starbucks have got this just right. Why sign up? Simple. Because you get exclusive offers. They also use a little clever language here. The phrase “simply registering” makes the customer think it’s no big deal. Why wouldn’t you sign up? Did you know that changing just one word could boost your conversion by 90%? Is it a super magical, secret word? Just change your call-to-action pronoun from ‘your’ to ‘my’. Let’s take a look at a real example in situ. Look how digital marketing company Crazy Egg draws you in with first person copy. 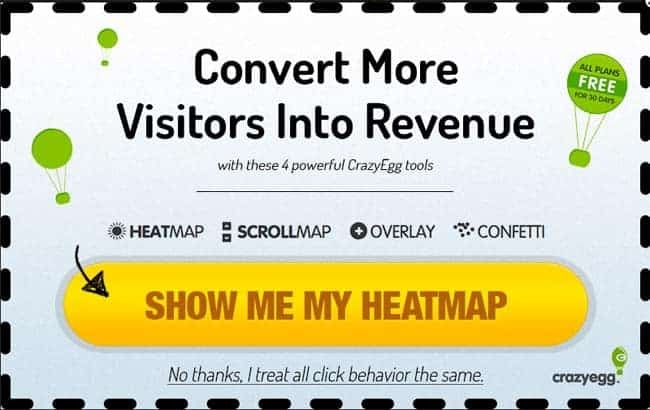 This CTA is so magnetic, you can’t NOT click on it. It’s basic psychology. We feel like the offer is being given directly to us. And us alone. It also makes it feel like clicking the button is your own idea. My favourite example of this is the food delivery website, Hungry House. Their brilliant copy used the words ‘feed me’ as the call-to-action. This CTA works for so many reasons. It’s playful and creative. It’s bold. And it talks to me in first person. So far, I’ve shown you how to create a call-to-action button that is compelling and intriguing. But, we’re not done yet. There will still be plenty of people who aren’t convinced enough to click. It’s your job to give them that (not-so) gentle nudge over the edge. That means an extra line of text; I like to call it the clincher. It’s the extra little motivation you need to make people act right now. One of the easiest ways is to make your offer time sensitive. Or include some sort of time pressure. 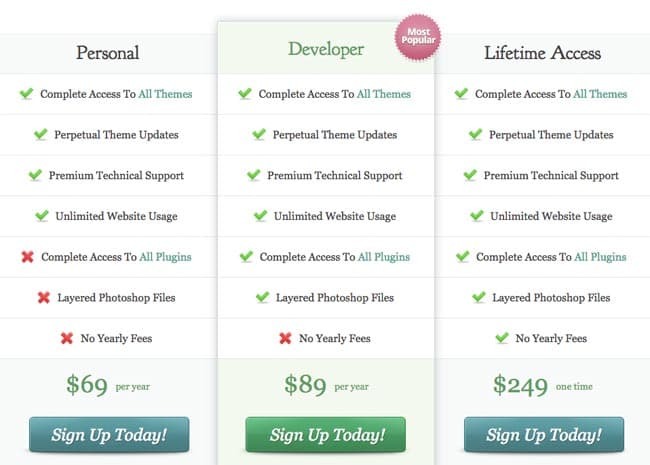 Something as simple as: “Download your free trial today” is enough to make people act. This CTA works really well if you’re trying to build up an email list quickly before a big campaign. Or maybe if you need to shift some stock quickly. As I said before, some people will still have reservations about signing up or buying. After all, we sign up for so much these days. We’re getting reluctant about handing over our email addresses. So, take away the risk. This trick is called the ‘anxiety-suppressor’. It’s another clincher line of text that gives people confidence. “No pressure, cancel at any time”. We hate spam as much as you, we never share your email address with anyone. If you’re not happy, we give you your money back, no questions asked. Remove any possible barrier for signing up. Give them an incentive, then remove all their anxieties. I’ve spoken almost exclusively about text and copy here. Good copy is at the heart of your CTA. It’s all about communication, intrigue, and convincing users. But, you can also use psychological design tricks to help the process along. That means paying attention to the colours and placement of your call-to-action. You’ll notice that all the pictures I’ve used here have brightly coloured CTA buttons. It’s a simple trick that draws the eye immediately. Separate your call-to-action button from anything else and use colours to draw the eye. Greens, yellows, and oranges usually work best here – create a contrast! Colour can also be used to prioritise your call-to-action buttons. In some cases, you’ll have two or three on your site, but you really want users to click on just one. For example, Buffer give you the option to sign in with different accounts. But, guess which one they want you to sign in with. 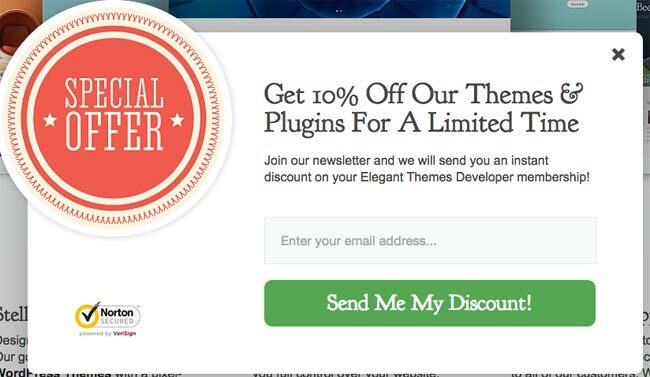 Elegant Themes (a WordPress theme developer) does a similar thing to encourage you to buy their mid-level product. There’s a cheaper entry package, but (as you can see), they’re drawing you to the more expensive version. Your call-to-action is the shortest, but hardest piece of copy to write on your website. When you get it right, you’ll see your conversions soar. Please share your favourite call-to-action buttons in the comment section. Or let me know how you get users to click on the buy button at your site.